Invisalign is a revolutionary orthodontic treatment that uses virtually invisible aligners and is ideal if you would like to straighten your teeth without anyone knowing. The Invisalign clear aligners are custom-made to fit your teeth and can be easily removed for eating and brushing your teeth. 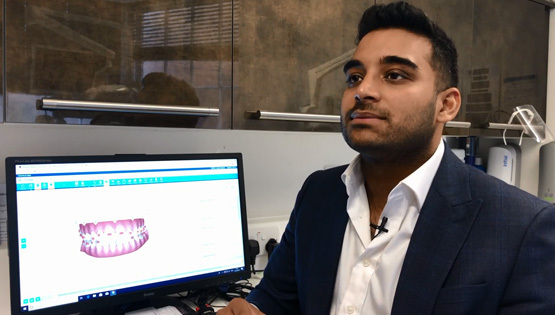 Invisalign uses 3D computer imaging technology, known as a ClinCheck, to plan how teeth will move in increments (by wearing clear aligners) from your teeth's current positions to the desired positions. This makes results very predictable. 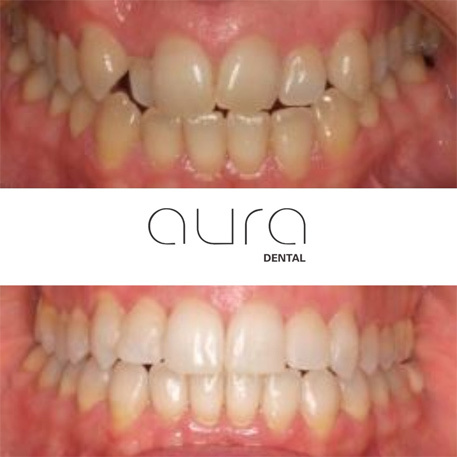 The treatment plan and aligners are bespoke and you'll change your aligners every 1 or 2 weeks in the comfort of your own home with visits every 6-8 weeks to us at Aura Dental. It was really simple to use. Popped them in, popped them out...Nobody noticed I was wearing them! 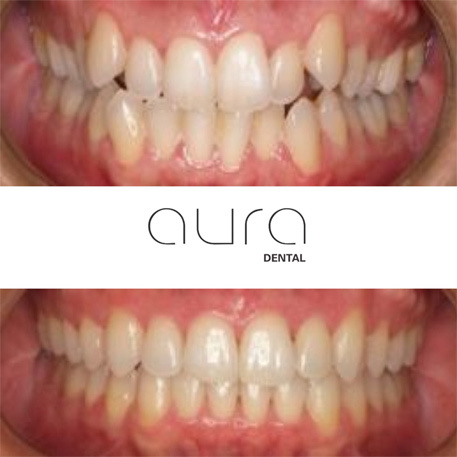 At Aura Dental, we offer four types of Invisalign treatment. Express, Lite and Comprehensive are suitable for adults and teenagers whereas Invisalign First in purely for children aged 6 – 10. Previously known as Invisalign's i7. This treatment is only suitable for very mild movements, needing up to 7 sets of aligners. Mild cases needing up to 14 sets of aligners would fall under the Invisalign Lite category where results are usually achieved in as little as four months. Previously known as Invisalign Full, this version of Invisalign is most effective for mild to severe orthodontic work. Treatment time depends on individual patient needs, but on average, results can be seen in 6 -12 months. This version has been designed for children between 6 – 10 years old. The aligners include a blue dot wear indicator to remind patients to wear their aligners for at least 22 hours a day. 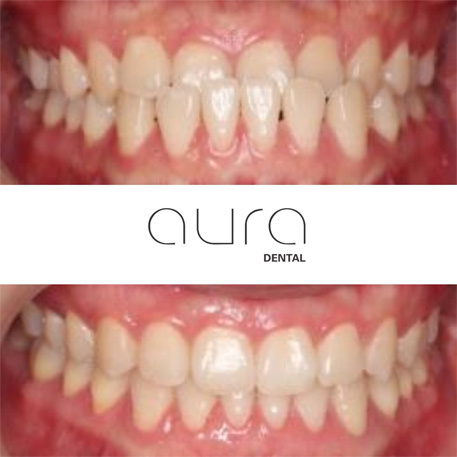 The goal of this treatment is to develop their jaws/arches to make room for existing teeth and for incoming permanent teeth as well as preventing pre-existing bite issues from getting worse. Invisalign is a revolutionary orthodontic option, but sometimes, certain movements can be difficult for the aligners to accomplish. An attachment can help ensure the right forces are placed in the right places to move the teeth. The attachments allow the aligner to "grip" or "grab" a tooth for ease of movement. Your dentist will place small, tooth-coloured dots of dental bonding material on certain teeth and specific locations, typically in the middle of the tooth. They can be different shapes, depending on the purpose. There are no injections or drilling of the teeth and they're just polished right off after treatment has been completed. In some instances, these attachments can also be placed on the back of the teeth (lingual side) if it is important to the patient. Some movements may be more difficult if this is decided upon. You may also require the use of buttons and elastics. The button provides the location for the elastic to be attached. If you need these, your aligner will most likely be trimmed slighted to allow for the button and elastic to be work without compromising the fit of the aligner. Buttons are typically small plastic or metal brackets that will be the anchor points for elastics. Attachments, buttons and elastics help your dentist create tooth movements that may otherwise not be possible with the aligners on their own. IPR stands for Interproximal Reduction. While this procedure is used with all types of orthodontics, it is a noteworthy part of Invisalign treatment to repair crowded teeth and create space. IPR is also called enamel reduction, because it involves abrading away small amounts of the outer tooth enamel from multiple teeth in areas that are crowded or that surround crowded teeth. Flexible strips of very fine material, similar to sandpaper, are used to rub away very small amounts of enamel. Hand tools or dental instruments are used to accomplish IPR. A typical tooth loses no more than .2 or .3 millimetres of enamel during the entire Invisalign treatment period. Healthy enamel can be 2.5 millimetres thick, so this represents a small amount and IPR is only performed on some select teeth — not all of them. IPR is used in conjunction with other orthodontic techniques, especially adjustments to the arch width and the proclination, or the incline, of the teeth. Usually, people with crowded teeth have narrow arches and their teeth are tilted in such a way that exacerbates their problem. By widening the arch and fixing the proclination, more space is automatically created for all the teeth. The small amounts of IPR performed on some of the teeth during your orthodontic procedure enables them to move into their proper positions along the upper and lower arches. 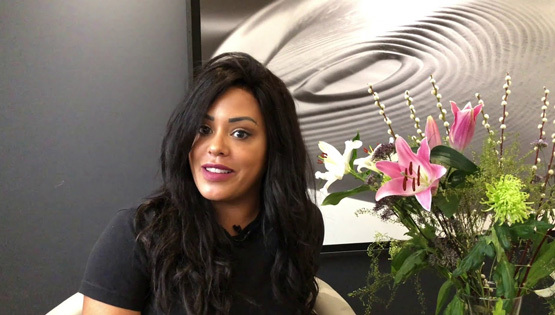 Tooth reshaping and dental contouring are cosmetic procedures that alter the shape, length and position of your teeth to fix minor imperfections such as a slightly crooked, overlapping, misshapen, chipped or extra-pointy teeth. Your dentist will decide which procedure can improve your smile, sometimes combining the two procedures, and take X-rays to determine if you have enough bone to support them. Combining bonding with reshaping can fill in chips and gaps between teeth, add shape and improve tooth colour. Tooth bonding or composite bonding, is a dental cosmetic procedure that involves attaching artificial material known as a composite resin to our natural tooth structure. This procedure aims at concealing imperfections such as cracks, stains and minor chips for a perfect, natural-looking smile. The composite resin used can be shaped and polished to match the other teeth. Composite resin can also be used to fill gaps, conceal discolouration, lengthen or reshape teeth. Copyright © Aura Dental. All rights reserved.